High-frequency trading (HFT), the practice of transacting a significant number of instruments in short time frames to capture ever-smaller price discrepancies, has been under a microscope since the infamous Flash Crash that occurred on May 6, 2010 and affected both the U.S. equities and futures markets. Although it was determined by the regulators that the crash was initiated by human error, and although the market rebounded that day almost as fast as it fell, many in the financial sector and in government were uncomfortable at the thought that algorithmic trading programs could potentially vaporize massive amounts of equity values from a market in a matter of minutes. Since that fateful day in May of 2010, circuit breakers (which later were replaced by limit up limit down provisions) have been placed at exchanges to prevent the wild price swings created by the Flash Crash. However, despite strong criticism by many government officials and members of the financial community, there have yet to be regulations placed on high-frequency trading that consider the high-speed of its transactions. High-frequency trading, like any other areas of finance, should have sensible regulations imposed to promote sound trading practices and to protect market participants from predatory behavior. The current challenge facing the main U.S. regulators, Securities and Exchange Commission (SEC) and the Commodities Futures Trading Commission (CFTC), lies in answering the following question: What is high-frequency trading? Although at first glance this seems a basic question, an examination of the debate over HFT that occurs regularly between financial professionals illustrates that there is no easy answer to this question. The intensity of this debate over the definition of high-frequency trading was kicked up a notch as an advisory committee to the CFTC concluded that a broad definition of HFT be adopted when implementing regulatory standards. This broad definition would include not only hedge funds, HFT-only firms, and proprietary trading desks, but also mutual and pension funds who use any form of algorithmic execution. Proponents of a broad definition argue that a wide interpretation of HFT is the surest way to protect all market participants from harm. They argue that to propose a narrow definition of HFT risks allowing too many opportunities for any regulation to be circumvented by loopholes or future innovations in algorithmic trading. However, there are members of the financial community who are advocating for a narrower interpretation of high-frequency trading in order to make better use of resources in policing market activity. It is possible that a broad definition of HFT will lead to regulators having too many firms, and funds to effectively keep tabs on, and thus allow for violators to slip through the cracks. For instance, some pension and mutual funds utilize algorithmic execution in order to reduce transactions costs. These lower transactions costs result in the fund having lower expenses and therefore more money flows to the end user (i.e. : retail investor/pensioner) as a result. A broad definition of HFT would include these types of transactions as well as the HFT-only firms and proprietary trading firms who use multiple algorithms to execute trading strategy. 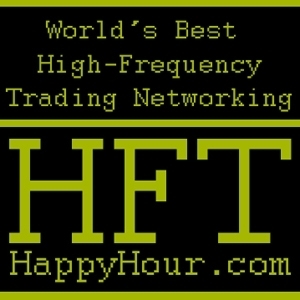 Although they are both forms of HFT, they are not identical. Perhaps the best way to regulate high-frequency trading is to spend less time debating its definition and more time focusing on the best way to police market activity. There is no debate over HFT’s impact on market transactions as HFT has gained a strong foothold in exchanges around the globe. It is also clear that the recent growth in the number of electronic exchanges will ensure that high-frequency trading is here to stay. 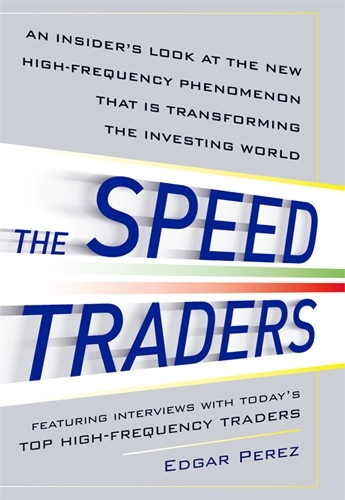 As I argue in my book The Speed Traders, if high-frequency trading is predicated on speed, its regulation must also be built around the same requirement. The aim of financial markets regulation is to create an atmosphere of trust for market participants. If a non-HFT market participant believes that he/she cannot enter into fair transactions then that individual will not invest in that market. To create that atmosphere of trust and effectively regulate global financial markets, regulators must be armed with the capacity to analyze trading activity in real time. This analysis of market activity will provide regulators with access to live order information and transactions. Real time information will allow regulators to see everything that is occurring in the markets, no matter how quickly the order information is being posted and transactions are occurring. This will require significant commitments to invest in both human capital and information technology; however, it is vital for regulators to level the playing field of high-frequency trading in order to best supervise it. Once regulators truly possess the ability to analyze trading activity it will allow them to identify potential wrong-doing and address it promptly. Furthermore, real time policing of the marketplace for potential malfeasance is the most efficient way to regulate high-frequency trading. Opponents of HFT often cite its ability to manipulate price as one of the most dangerous problems facing non-HFT investors. Price manipulation can take place either through the use of wash trades (a trade which involves a party buying its own contract) or from quote stuffing (layering). Rapid analysis of market data by regulators will help to curtail these practices by identifying them and taking immediate action. There are other ways to potentially regulate high-frequency trading. These alternative methods involve certifying the algorithms implemented by traders (appropriately protecting their intellectual property) in order to ensure that they have been properly tested for use in markets. While this might serve to provide a stronger framework for algorithm development and testing, it will not allow regulators to effectively oversee our markets via the transactions executed by these same algorithms. There is no question that regulatory reform for our financial markets is a daunting process. As I recently explained to attendees to The Speed Traders Workshop 2012, high-frequency trading is a tool that can be positive or negative for investors and global financial markets. What is important to remember is that wrong-doing in our markets has long existed, certainly much before the advent of high-frequency trading, and unfortunately, will occur in the future. To effectively regulate our financial markets will require a concerted effort to monitor all of the practices that undermine the faith of investors. Analysis of real time trading data will provide for effective regulation of high-frequency trading. This in turn will provide peace of mind for market participants that are currently weary of HFT. However, HFT regulation is just one piece of the regulatory effort required to produce strong financial markets. Edgar Perez, the author of “The Speed Traders: An Insider’s Look at the New High-Frequency Trading Phenomenon That Is Transforming the Investing World” and the forthcoming “Knightmare on Wall Street: Do Facebook’s Botched IPO and Knight Capital’s Technology Error Mark the Beginning of the End of Equities Investing?,” leads The Speed Traders Workshop 2012. He is on Twitter and Weibo.